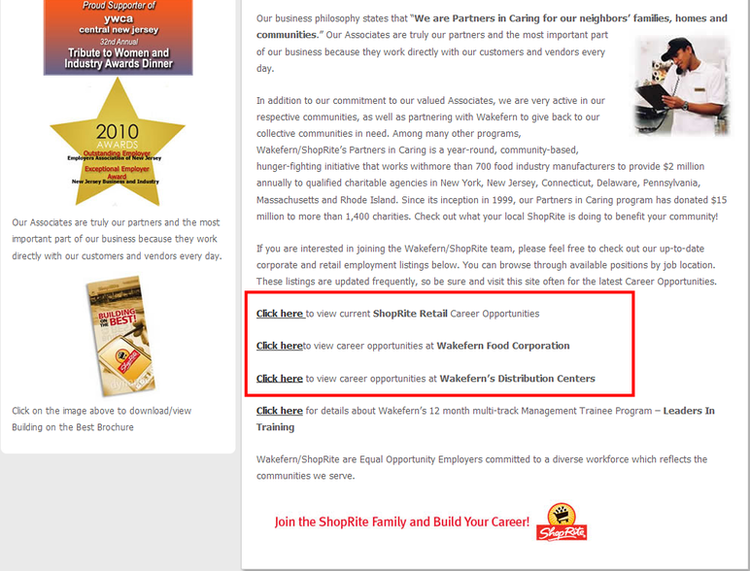 Go to shoprite.com/careers. 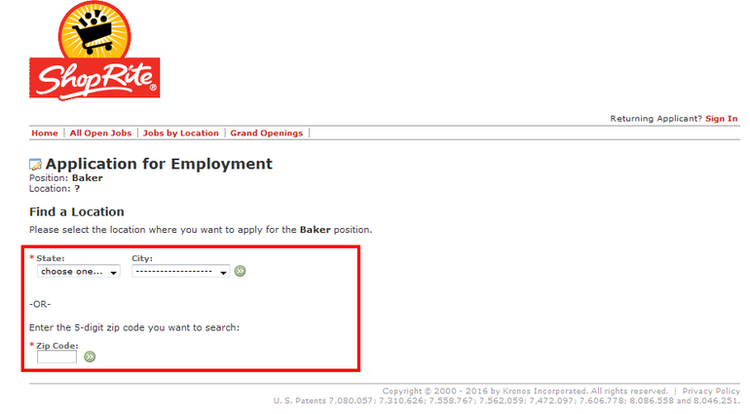 Click to see different job openings according to your capability. 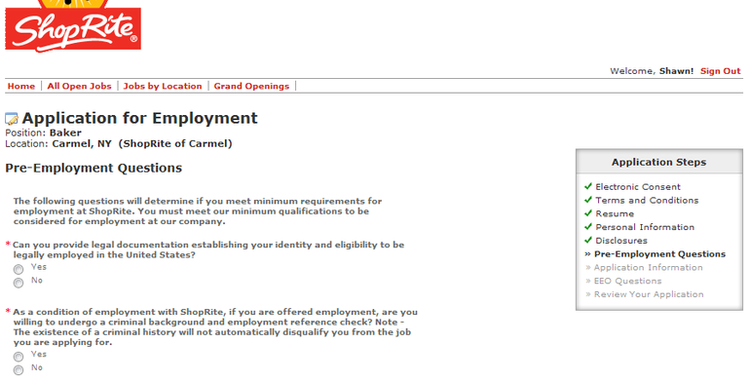 We take retail job opportunities as an example to continue. There are two options for you to search positions, location-come-first and job-come-first. Anyway, where to work and what to do are key information that you have to provide. No matter which one comes first, you have to confirm the other later. 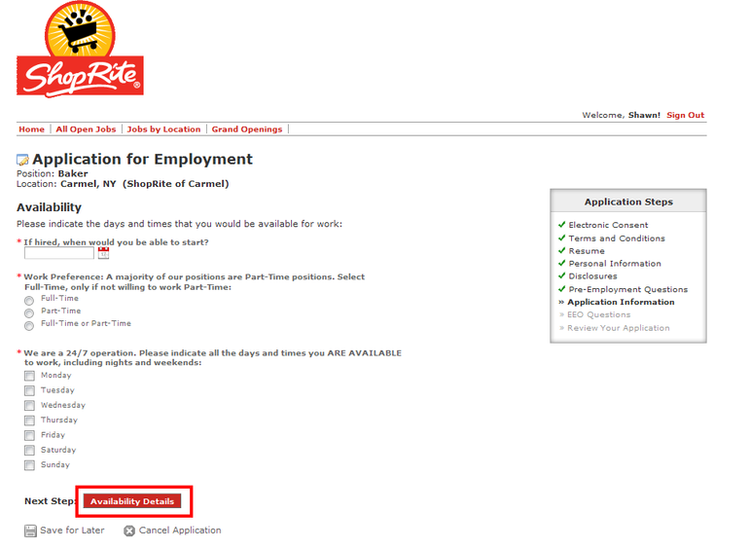 Here we take “apply to a position” for an example. Here you need to select your city and state, or choose to type your zip code. It’s better to search by the first option, in that way can you see all the states which are having open jobs now on the list. Then press Enter on the keyboard and wait for a few seconds, then the system will give out the result. On the next page you have two copies to accept: Electronic consent and terms and conditions. Agree them to start your application. 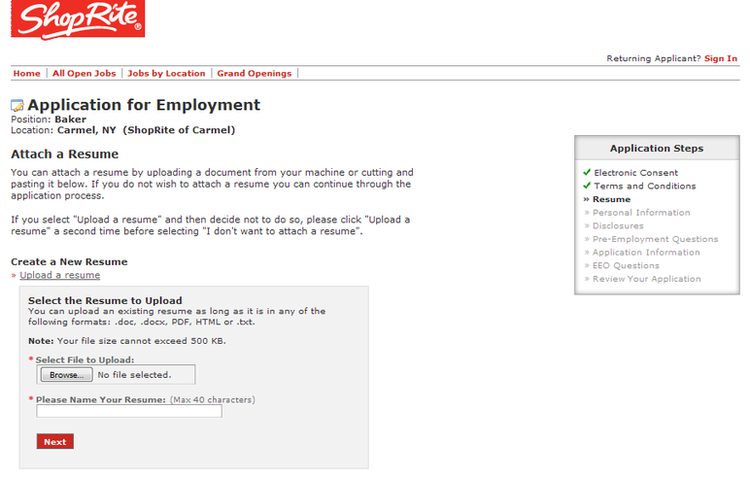 You can choose to upload your resume by these three channels: upload a resume from your computer, cut and paste to create a resume manually and import your profile from a third-party service. Upload your CV to continue. This form asks you to fill up with detailed personal information including basic contact information and account information so that recruiters can search for you easily. Finish it to go on. This part is a questionnaire which consist of some choice questions. It refers to some basic and neutral background investigation, complete it to enter the last step. 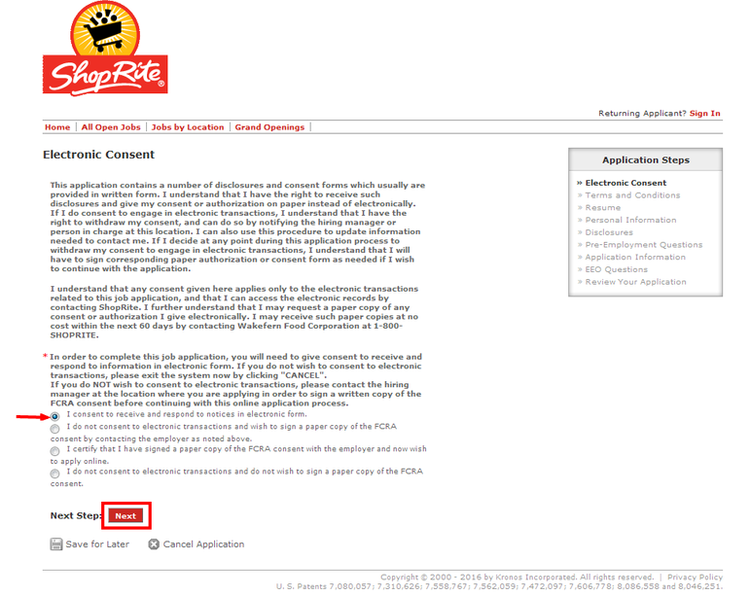 The application form has been divided into few parts so that you won’t freak out when you see a long-page detailed form. Be careful when you are going with the numbers. Usually it is suggested to do a double-check before your submission. 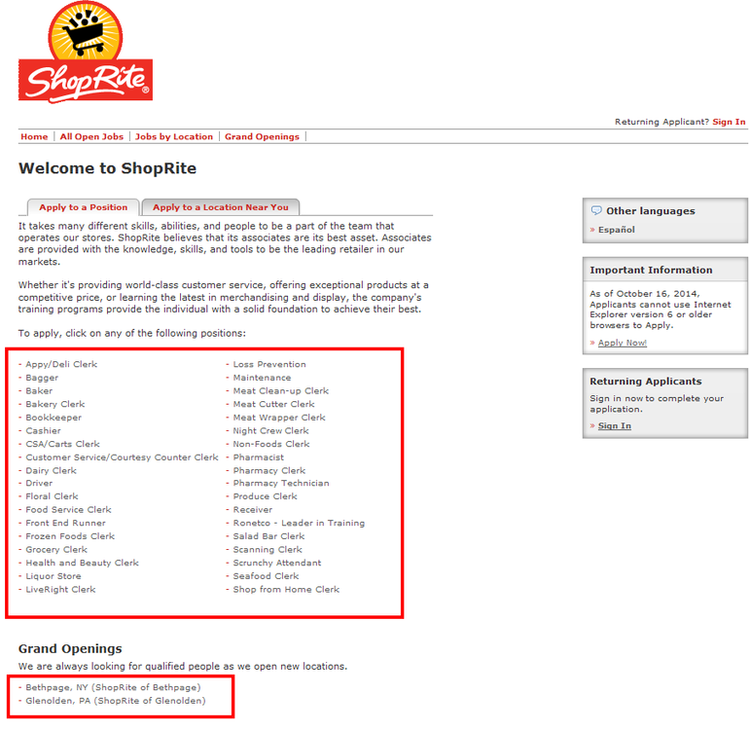 Click shoprite.com/careers to apply for ShopRite jobs online. Alan Merritt 2018-09-18 19:46:46 Rated 4.0 tried to complete application on line and it say not available , please help to start and finish a application for night shift stocking in Somerset N.J. 08873.